Sobriety checkpoints are law enforcement stops – or checkpoints – designed to randomly stop vehicles on the roadway to check whether drivers are impaired. In most cases, they are organized during days and times when drunk driving is known to be more common, such as holiday weekends. Although the U.S. Supreme Court affirmed the Constitutional legality of DUI checkpoints in the 1990 decision of Michigan v. Sitz, not all states have found the practice complies with their individual state constitution. Florida is among those states that do allow sobriety checkpoints, and law enforcement agencies frequently employ them to “crack down” on drunk driving. 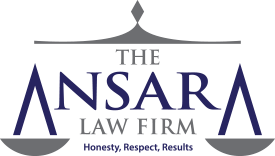 DUI defense attorneys in Fort Lauderdale at The Ansara Law Firm will scrutinize the details of any client arrest resulting from a sobriety checkpoint. DUI checkpoints are the exception to the requirement that police have reasonable suspicion to pull you over. Courts have held that while these stops do amount to a “seizure,” the dangers of drunk driving outweigh the intrusiveness of the these stops. Even though police in Florida do not need reasonable suspicions to stop a driver in a DUI checkpoint, this is not what we would consider a “consensual encounter.” Motorists are not free to ignore officers or flee a DUI checkpoint. Although the constitutionality of sobriety checkpoints has been upheld, that does not mean law enforcement power is without limitation. Because there are constitutional concerns about DUI checkpoints, there are several established rules law enforcement organizers need to follow. In the 1986 case of Florida v. Jones, the Florida Supreme Court held that police have to follow pre-written guidelines for DUI checkpoint procedure. If an agency fails to draft the proper guidelines or fails to adhere to them, evidence obtained during that stop may be inadmissible as a matter of law – meaning your DUI case could be dismissed before it ever goes to trial. The reason these procedures must be pre-written and detailed is to prevent arbitrary action by police officers. There have been many cases (like the 1993 case of Hartsfield v. State, decided by Florida’s 4th DCA) that have been dismissed because agencies failed to have clear, pre-written DUI checkpoint procedures. In addition to being pre-written, these procedures must be specific enough to avoid a situation where the officer has discretion on which vehicles are stopped, to prevent profiling and discrimination. Ensure some form of chemical test is included. These are suggested guidelines, not laws, but many agencies do look to the NHTSA to set the standard. What Are Driver Obligations in Florida DUI Checkpoint? In Florida, you must comply with lawful requests from police. In a sobriety checkpoint, you can expect to be asked to roll down your window to talk to the officers. You can expect to provide your driver’s license, registration and insurance information. You are lawfully permitted to record this encounter with your cell phone (though it is advised if you do so, you remain especially courteous and calm throughout the encounter). You will need to tell the officer your name and address. You do NOT need to submit to field sobriety tests. These tests are highly subjective, and are often used against you no matter what. The issue of breathalyzer tests and blood tests are a bit more complicated. First, Florida has an implied consent law, F.S. 316.1932, that makes it clear driving is a privilege and motorists have implied to consent to alcohol testing if one has been lawfully arrested. Refusal to do so will result in an automatic one-year license suspension – regardless of what the test reveals – or 18 months if you have a conviction for a previous refusal. But while breathalyzers can be conducted roadside without a warrant, blood tests generally require a warrant from a judge, per the 2016 U.S. Supreme Court decision in Birchfield v. North Dakota. That’s because blood tests are generally deemed more intrusive than breathalyzer tests. If you haven’t had anything to drink, it may be worthwhile to go ahead with the test. However, if you have consumed alcohol at some point in the evening, be aware that chemical testing is not full-proof. The test could skew higher than your actual body-alcohol concentration. That doesn’t mean it can’t be challenged, but it could prove more of an uphill battle. As in all DUI arrests, working with an experienced criminal defense attorney in Fort Lauderdale can help you ascertain your best possible defenses.